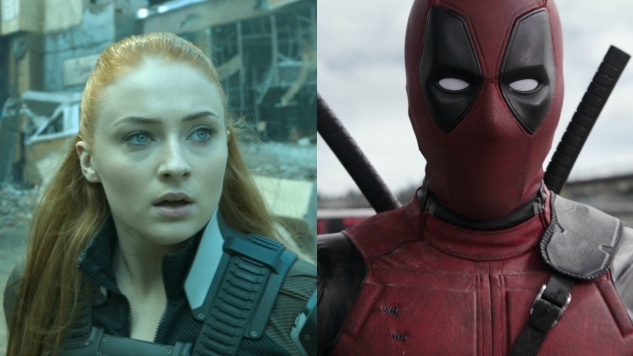 Dutifully enforcing the recently passed law that dictates one in every three movies produced is a superhero movie, 20th Century Fox has outlined the 2018 release plan for their forthcoming X-Men films, and boy are there three of them. First up, next April 13, we’ll get Josh Boone’s (The Fault in Our Stars) New Mutants, which seems more and more like the wild card of next year’s trio. A surprisingly small amount of info has been formally released about this film, though it’s seeming increasingly likely that we’ll see Anya Taylor-Joy (The Witch, Split), Nat Wolff (The Fault in Our Stars, Baby Driver) and Maisie Williams (Game of Thrones) starring in the picture. Aside from director Boone hinting at the inclusion of mutants Wolfsbane (apparently played by Williams), Mirage, Cannonball, Sunspot, Magik and Warlock, we know little else about the movie at this point. Next in line is June 1’s Deadpool 2, which likely you’ve already read about extensively. If not, whether you need to catch up on the casting of Josh Brolin as Cable, Zazie Beetz as Domino or the short that played before March’s Logan, we’ve got you covered. Finally, set for Nov. 2 will be Dark Phoenix, rumored to be directed by longtime X-Men writer and producer Simon Kinberg. With Sophie Turner (Game of Thrones) reprising her role as the young Jean Grey, we’re guessing you can expect to see at least a loose adaptation of the classic 1980 Dark Phoenix saga (obviously). Will any of these movies’ release dates shift around? Yeah, probably. With premieres set so closely to now, expect either more details on the films relatively soon or a whole bunch of delays (we’ll probably get both). Be sure to stay tuned to Paste for any major updates to Fox’s film slate.